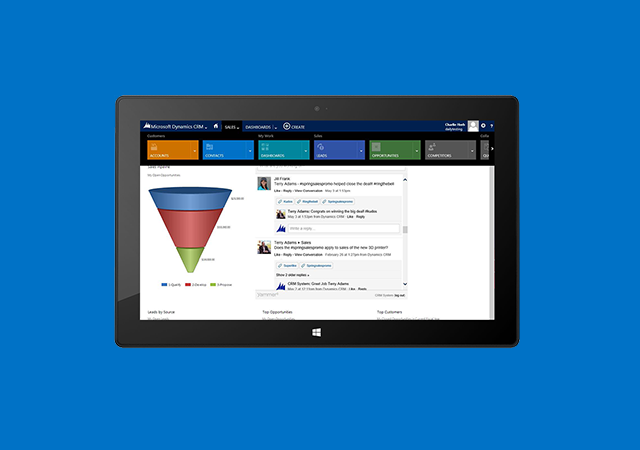 Microsoft Dynamics Marketing – What’s in it for eMarketers? Microsoft recently announced several key additions in its update of its Dynamics CRM 2013, some of which have piqued the interest of e-commerce marketers who already use Dynamics CRM but may have chosen to go elsewhere for specific functionality. According to Bob Stutz, corporate vice president, Microsoft Dynamics CRM, “With this new release, we are essentially changing the CRM game.” It seems a reasonable assumption that, based on recent Microsoft acquisitions for Dynamics CRM, the game Stutz is referring to is his biggest competition in this space, Salesforce.com. Let’s take a look at how this can change the “CRM game,” specifically as it applies to e-commerce marketers. Following the acquisition of MarketingPilot in late 2012, Microsoft initially only offered a connector between it and Dynamics CRM. Now, as Dynamics Marketing, it will be the focus of all future innovations and will initially only be available through Microsoft’s Azure cloud service. Customers who currently use Marketing Pilot will receive offers to migrate to the cloud service. According to PC World Magazine, the redesigned Dynamics Marketing user interface will have the same look and feel as the core Dynamics software and will employ a campaign designer that “allows marketers to put together ad purchases and content placements across multiple channels, such as websites, emails and social media.” Campaigns can then be tracked with detailed analytics, allowing marketers to see what works and what doesn’t so they can tweak the plan as they go. Basically, these additions allow Dynamics to better catch up to (if not surpass) Salesforce.com, which already offers similar functionality. With this new functionality soon to be available to Dynamics CRM users, the question remains whether this might be enough to cause them to migrate from Salesforce.com to Dynamics Marketing. This might depend on many things, most notably whether they already use another CRM and how well they perceive its performance – including in other areas such as customer service and social media interaction. Also part of Microsoft’s recent announcement were mention of two additional aspects that will be included in the updated Dynamics CRM: enhanced customer service capabilities and social media interactivity. Both of these also appear to be a direct play to compete with Salesforce features. For a business that has been using Salesforce.com for some time, these new, upcoming additions may be reason enough to consider whether a migration is worth it. In such cases – and if all other things are deemed equal – additional considerations may arise. Price: Perhaps as a result of the fact that Salesforce dominated the CRM space for so many years, and was able to set prices in a virtually competition-free environment, it remains one of the highest priced CRM services. Microsoft Dynamics CRM and associated services are considerably less expensive and do not require annual contracts, as Salesforce often does. Integration: Salesforce does not have the luxury of owning a complete universe of commonly used business software applications, as Microsoft does. Thus, for businesses already using Windows, Outlook, Dynamics, Skype et al, Dynamics Marketing makes good sense in that it meshes seamlessly with these tools. Salesforce has this ability, via connectors, but these are rarely without some issues. Partners: Chances are that if the company has a great, working relationship with their current software provider, they will choose to remain loyal to their solution. This is one of those intangibles that may overshadow the previous two considerations. On a final note, things continue to get more interesting in the CRM space as Oracle’s Larry Ellison recently announced his company’s bid to take on Salesforce and other SaaS vendors. Oracle has followed Microsoft’s lead with acquisitions aimed to beef up its CRM offering., as well.